Kathy Mack is the creative force and mastermind behind Pink Chalk Fabrics & Pink Chalk Studio. Kathy & I have been "blog friends" for a long time. 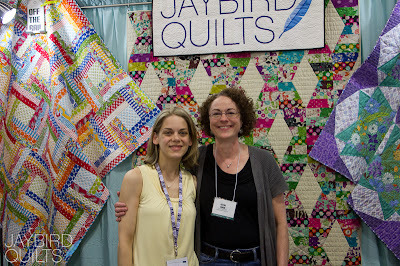 She was a busy woman at Quilt Market but we did get to spend a bit catching up and talking business. A great thing about Pink Chalk is that all patterns ship for free in the US! of Outside Oslo by Jessica Jones! It's a beautiful Home Dec collection. Leave a comment sharing which is your favorite FQ stack over @ Pink Chalk. You have till 10pm EST on Wednesday the 22th to enter! PLEASE make sure your contact information is in your profile or that you leave it in your comment. Would it be cheating to say that Outside Oslo is my favorite FQ stack? I love How About Orange and have admired this collection for a while now. Just "Liked" Pink Chalk on Facebook. I love the Cloud Nine Heather Moore Cut up and Keep fabrics! I signed up before and get Kathys newsletter. Thank you! I already like pink chalk on fb! I love Color Stack Fresh Squeezed and the kona cotton starter pack! 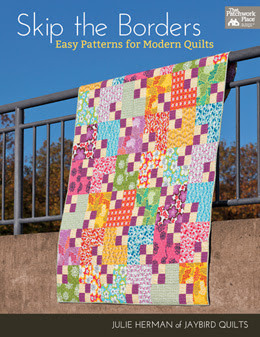 I am already receiving Pink Chalks Fabrics newsletter! I love getting it! Just one favorite?? I'd have to go with Loulouthi, Eleni palette. They are all so yummy!! But I really like the Sherbet Pips collection!! I liked it on FB!!! First entry: I heart Lizzy House 1001 peeps blue! I love Timeless Treasures Fruit Punch FQ bundle! Lots of cute fabric though! Thanks for the chance; Outside Oslo is gorgeous!!! I love this stack being given away, so pretty! The Lizzy House 1001 Peeps Persian Purple FQs are another favorite of mine on their site - yum yum! And for #3, I signed up for their newsletter. 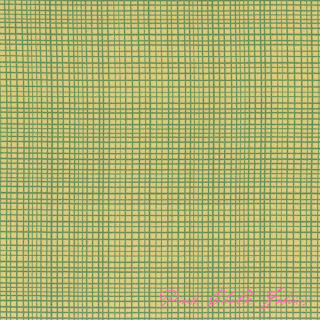 I now "like" Pink Chalk Fabrics on Facebook! I love Pink Chalk on facebook. Signed up for Pink Chalk's newsletter! I love Loulouthi and Sherbet Pips the best. They are my favourite designers and Kathy Mack has wonderful service and products at Pink Chalk! My favorite FQ stack is the Echino Ni -Co 2011 Pink FQ stack. Love that London print! I already get Kathy's newsletter! I like Pink Chalk on FB, too. I really like the Wild Strawberry color stack!! It would be like Christmas for me if I won this FQ collection! Jessica Jones is my fav FQ collection right now! I liked Pink Chalk on FB! And I already get the newsletter!! Thanks for all the chances to win!! I really love the Sherbet Pips collection!!! But that said, I love Pink Chalk's shop!!! So it is very hard to choose just one!!! I love the "Just Wing It" by Momo in the red colorway! So many great choices! I love the Moda Crossweave FQ pack, but I'd love to try the Outside Oslo. Those flowers look like fun! 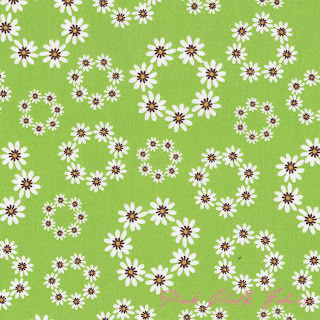 I am loving' Erin McMorris' Summersault Lime FQs!!!!! :) Thanks. My favorite would probably be Cut Out & Keep, although organic fabrics are a little bit out of my price range! I also love how Kathy sells sets of solids that coordinate with diffrent lines. Thanks for the giveaway! I already receive the newsletter! It was hard to choose, but for today, I pick the Theory Seaside FQs by Khristian A Howell. That may change later today or tomorrow though...what great FQ packs!! 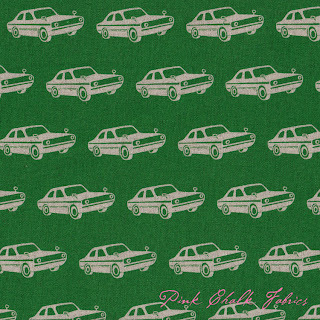 My favourite is the Just dandy blue Fqs. I just love blues!! Thanks for the lovely give away! I'm in an orange mood, so I vote for "Fresh Squeezed." Love the colors! I did sign up for their newsletter!Thanks! I have signed up to receive Pink Chalk Fabrics Newsletter and already received the confirmation. I just got a weird message. Hope I'm not reposting this. Don't wanna seem like a cheater. Ok, it's not as exciting as some other folks' choices, but I think I like the "Wild Strawberry" color stack FQs best. 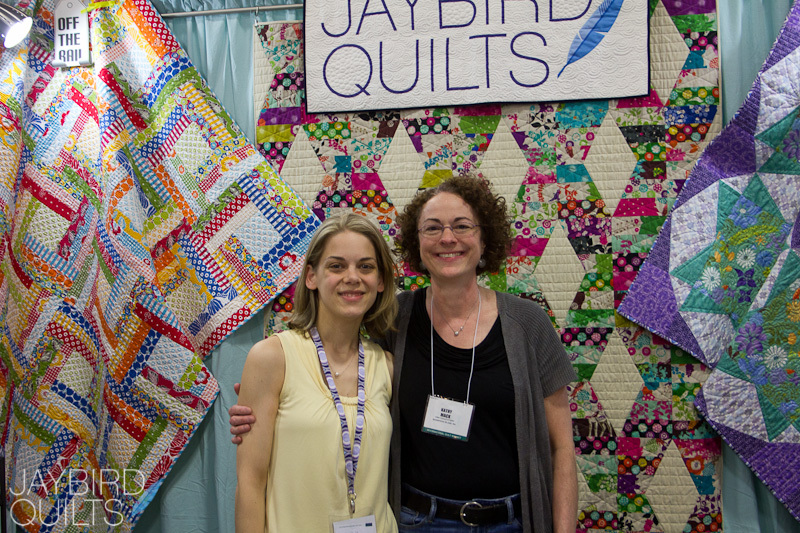 And plus I think that the "Limeade" and "Wild Strawberry" FQ stacks would make a pretty quilt for summer with a little white thrown in. Love it! I love the Outside Oslo Dawn fq bundle! Not just because I live Inside Oslo - lol - but it really has a Scandinavian feel to the design! I already like Pink Chalk fabric on Facebook! I recieve the Pink Chalk fabric newsletter! I'm already a newsletter recipient! I'm subscribed to the newsletter! I'm so excited, thank you for introducing me to a new place for fabrics! I'm always looking for a good store online! Good morning. I "liked" Pink Chalk Fabrics" on facebook. Thanks for the giveaway! I'm a FB fan, already. I signed up for "Pink Chalk's" newsletter and received a free pattern. Thanks for the giveaway! I receive her newsletter. I love the fat quarter bundle "Summer Ice"! Very soothing! And, finally, I mentioned the giveaway on my blog! I love that you have an "I spy" bundle! I have been trying to gather enough suitable fabric for one and this would help jump start my collection! Okay, search by color? FREAKIN GENIUS!!!! I'm tossed up between Fresh Squeezed and Summer Ice color stacks. I think I'm in love with this site now! My fav FQ stack is Sew Much Fun Mocha. Thanks for the giveaway! I already like Pink Chalk Fabric on FB. In addition to Outside Oslo, I also like Khristian Howell's Theory Seaside. Thanks for the giveaway. 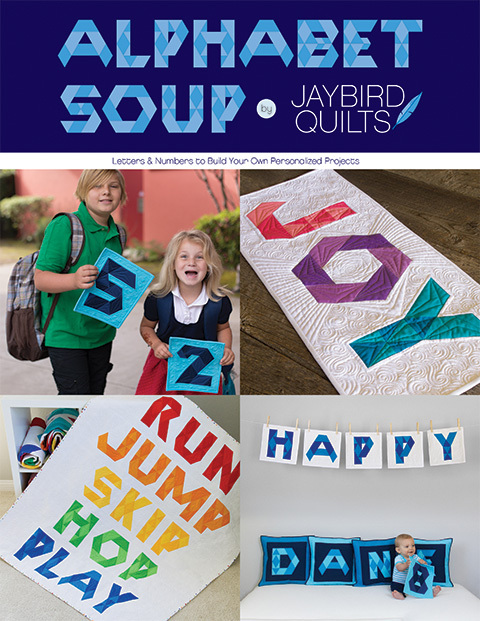 Just signed up for Pink Chalk Fabric's newsletter. Just posted a tweet on Twitter about the giveaway! Thanks again for the chance to win. My favourite fq stack is the Zoology Sea! Just liked Pink Chalk on Facebook!! And I already receive the newsletter too! My favorite pack is Echino Ni-Co 2011 Collection by Etsuko Furuya for Kokka. What a great store she has! 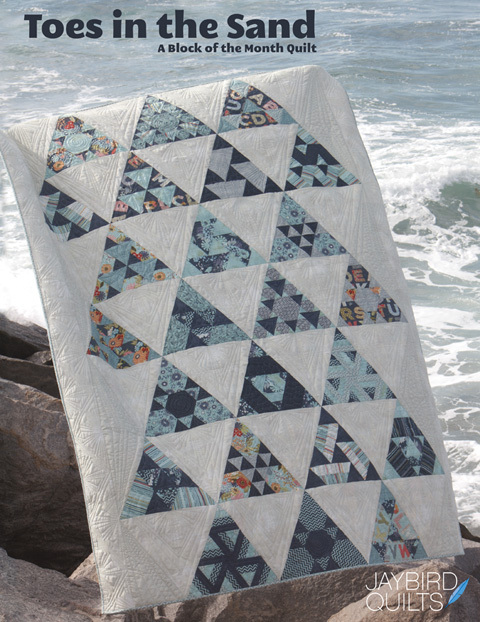 It was so hard to decide which was my favorite but I do love Kate Spain's Flurry Chill! Just signed up for her newsletter! love the color candy!!! i love pink! I really love their Lizzy House 1001 Peeps Jinnee Orange FQs! I love the Timeless Treasures Fruit Punch set. So cute! I love the Limeade fat quarter stack. OOOO I love pink, so Cotton Candy is definitely my favorite. I love the pooches and pickups FQ set, soo cute! I already subscribe to Pink Chalk's newsletter. I am also a happy customer of Kathy's. How can you make me choose which fabric I like best?? Actually I've been admiring the Outside Oslo from afar. I love the Loulouthi Juliana bundle! Thanks for the chance to win! Zoology Sea is my favorite FQ bundle. I like PCF on fb. Wow, it's hard to choose just one favorite FQ stack! But I'll go with Theory in the Seaside colorway. Those colors are some of my favorites right now. I subscribe to the Pink Chalk newsletter. Inspiration every week! 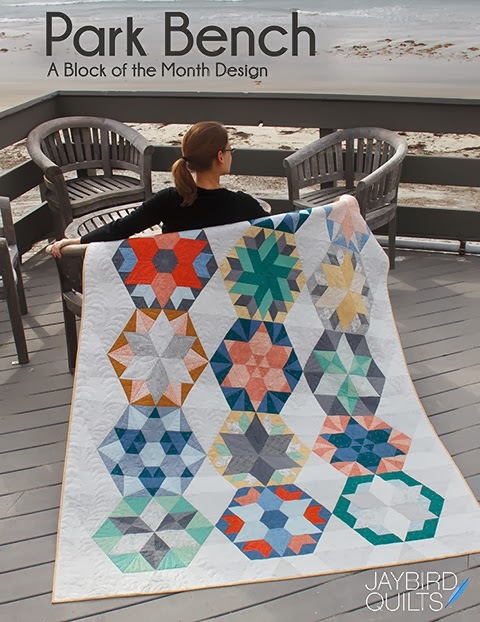 I just signed up for the newsletter, I'd love to win the Outside Oslo collection! I subscribed to the Pink Chalk Fabrics newsletter. It's hard to pick a favorite FQ... but I'd say it's a tie between the Howell's Theory in Seaside and Kimberling's Just Dandy in Blue Jay. 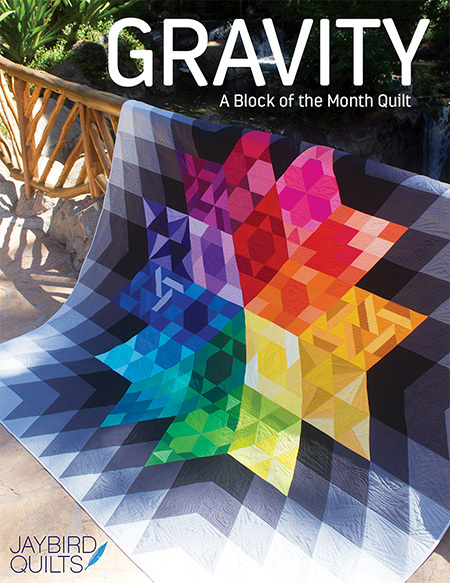 I signed up for the newsletter and ordered two of your quilt patterns! 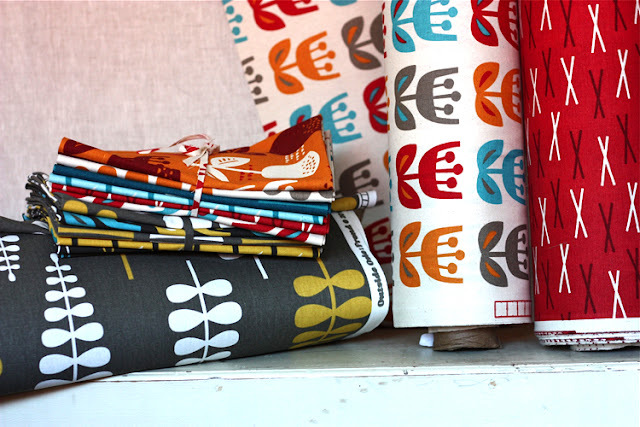 It's hard to pick just on FQ favorite, but I'll have to go with Just Wing it by Momo - the red-ish FQ Color stack. 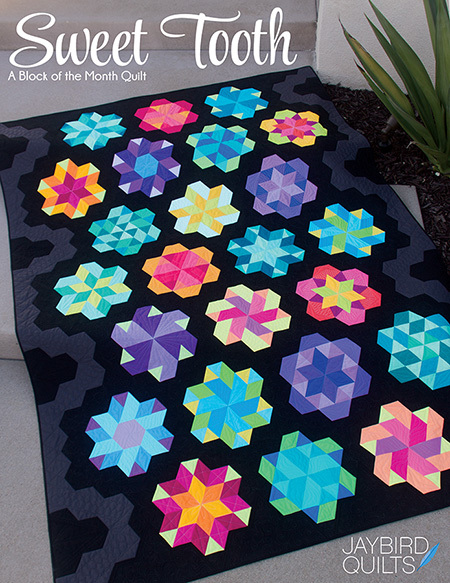 my favourite FQ pack has got to be Color Stack - Summer Ice FQs - those blues give me happies! I know it's been around for awhile but I'm still drawn to Kate Spain's Fandango. Love the oranges and blues! I already receive the Pink Chalk newsletter. I love that Erin McMorris Line, so I'm going to go with "Erin McMorris Summersault Lake FQs" as my favorite FQ stack. 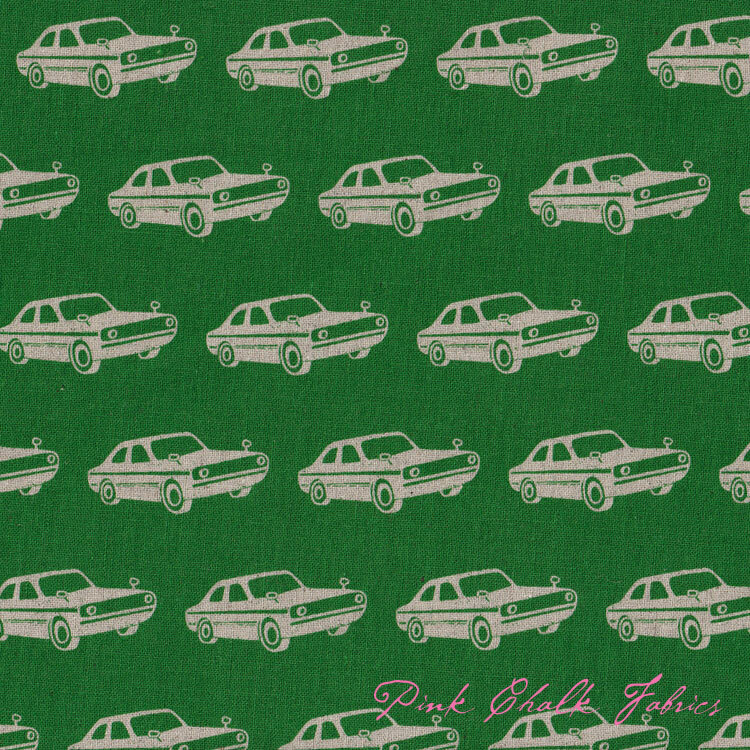 I've now subscribed to Pink Chalk fabrics' newsletter. Get the Pink Chalk Newsletter. My favorite stack is Wild Strawberries -- love those colors! I receive Pink Chalk's newsletter! The kona starter pack is my favorite of their FQ bundles! Thanks for a chance to win! My favorite right now is the ANH Loulouthi Isabella. The large prints are just beautiful. I love all the color stacks - would like to have the funds to buy each one. The pacific blue stack is beautiful! I've just tweeted this giveaway (@eweniq). Now to sit with everything crossed! Erin McMorris Somersault Lime. Lovin it! I "liked" Pilk Chalk on Facebook! I signed up for PCF newsletter too. I already like them on facebook. It's fun to see their amazing creations. My favorite FQ stack at Pink Chalk is Suzy Ultman's Appleville. I am really loving this color mix recently. I really like the Erin McMorris Summersault Lime FQ pack, but I love all of Jessica's work as well. I love the Summer Ice color stack she put together. I already "like" Pink Chalk. I receive the Pink Chalk Fabrics newsletter. Love it. i followed pick chalk fabrics on facebook! I love the color stack-cotton candy!!! I am such a pink girl!! Must order this now!! I liked them on facebook!! and...I signed up to get their newsletter! Yay! Wow - too difficult to decide - Cloud9. the Painters Canvas fabrics, and the 1001 Peeps. I could definitely keep going! And I receive the fantastic newsletter! I subscribe to the Pink Chalk newsletter. I get the Pink Chalk updates through my FaceBook account ("like" button enabled). There is lots to like, but I think I'd enjoy Moda Cross Weave Wovens Collection FQs the most right now.Thanks. I would love to own Sherbet Pips FQ bundle. I am probably the only one that hasn't gotten any of that, but I really like it alot! I like Pink Chalk Fabrics on Facebook. I already receive Pink Chalk's newsletter....great giveaway. 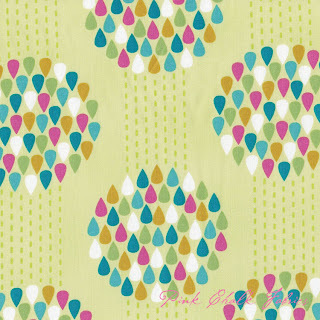 I'm loving those new cloud 9 fabrics! So I'd pick that fat quarter pack. Or any of the color packs. I already "Liked" Pink Chalk Fabrics. I have been following them for awhile. I just liked Pink Chalk on FB. 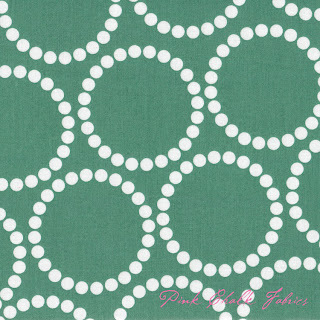 I already receive email from Pink Chalk Fabrics. Summersault in Apricot is my favorite! Today the Fresh Squeezed fabric stack is apealing to me. I just subscribed to her newsletter. Thanks. I already receive the newsletter. Thanks!